Buildings can only be used for specific uses set out in national planning rules. This rather antiquated and inflexible systeem is based on Use Classes. 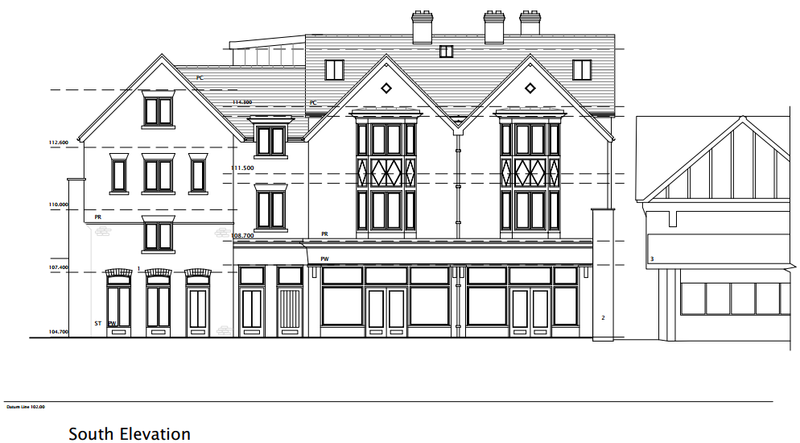 The current planning permission for 9 Tower Street is for a shop (Class A1). Macham plans to broaden the potential uses of the building to Class A1 or A3 – restaurant or café. It is not applying for Class A4 – pubs and bars. That kicks into touch the rumour going around that this will be a Wetherspoon pub (see other Wetherspoon rumours). Macham could always be a later application for a further change of use to a pub or bar, but that would require another planning application. I would like to hear the views of residents and conservation specialists before commenting on this scheme. I think the development is rather crowded but I would like to see this site redeveloped. Should this scheme be granted planning permission, a major priority will be to secure the future of the post office.
. Some changes of use are allowed without planning permission under permitted development rights. These rights do not include converting a café into a bar or pub. I agree that the Post Office is a major consideration. The preservation of the old gaol wall, with a suitable plaque there bearing information, as elsewhere in the town, must be assured. It’s a pity that another eating place is proposed, when there’s plenty that we haven’t got, like a comprehensive crafts and haberdashery outlet, or a substantial shoe shop. Our access to electrical goods and modern technology is limited too. Could we buy a DVD player here? What a grand plan. At last this ugly building that faces anyone coming up from the long stay car park will be gone. What a hideous welcome to Ludlow this has been . however , try to conserve as much of the old walls as possible ie the old fire station and goal. BUT what about the Post Office.. we DO need a post office in town. The one at East Hamlet will not be able to cope if the town one closes. Can not understand how the post office has not been a party to these developments !!! ?? ?